The term spring cleaning is normally applied to climates that have a cold winter and refers to the yearly act of cleaning a house from top to bottom. This would take place in the first warm days of the year typically in spring. I personally do “spring cleaning” whenever I am in the mood and/or whenever it is needed. It is a great time to also go through things that you don’t want and eliminate clutter. What to do with the unwanted clutter? Have a GARAGE SALE or YARD SALE or HOUSE SALE! Call it whatever you wish. It’s a great way to get rid of the unwanted clutter and make some money too. I personally have had many “multi-family” garage sales. For me, multi-family means that my sisters and maybe other family members and friends as well also take part. We decide whose house we are going to have the sale. This decision depends on how much “stuff” we all have to sell and which house has the best accommodations. All items you plan to sell should be clean. I don’t feel that it is necessary to wash every clothes item (unless it smells) but it is important that everything else be free of grease, dirt and years of dust. It is also important that your garage/yard/house be presentable. Clearly price everything you plan on selling. I have found that most people do not like to ask how much something costs. You will need stickers/labels and maybe some tie-on tags as well. When choosing your sticker price for an item, I feel a good rule of thumb is it should be less than 25% of what you originally paid for the item. People who shop garage sales are looking for a bargain. If items are priced too high, they will simply leave. But, you do want to be careful not to price a valuable item too low. Always keep in mind that the “seasoned garage sale person” will try to bargain with you and get the item for lower than your sticker price. Be prepared to bargain and remember that the stuff you’re selling are things you no longer want or need anyway. If more than one person/family is adding their items to the sale, everyone should add an initial, for example S for Sharyn, to their pricing stickers. It makes it much easier to track total sales for each participant. Weeks or even months prior to your sale, begin accumulating bags and paper/packing material to use at your sale. More people will show up at your sale if the timing is right. If your sale is outside, you definitely want to make it when the weather is nice. I have found that spring is better than mid-summer. People are much busier in the summer months with things like kids softball games, picnics, parties and vacations. 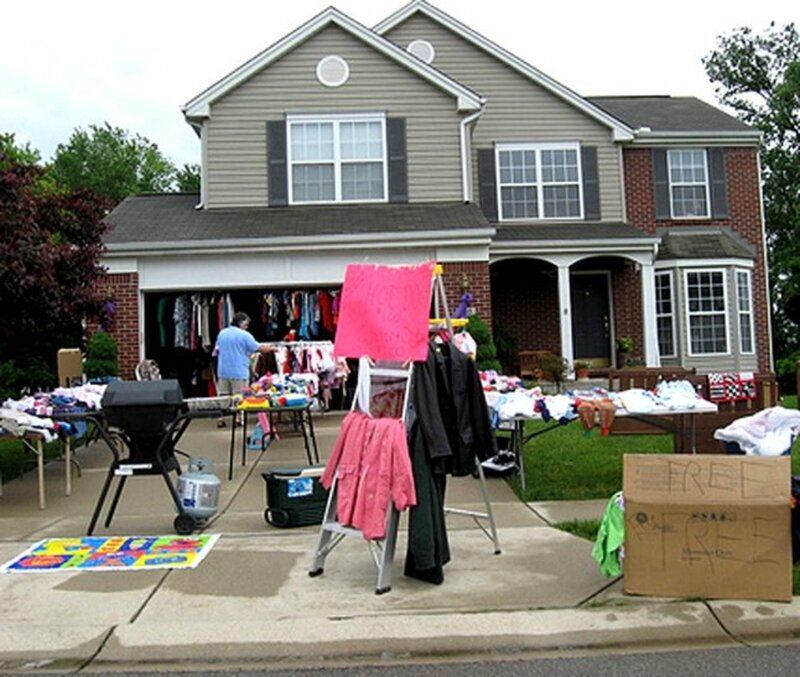 Yet, I have also found that a good time for a garage sale is at the very end of summer, just several weeks before kids go back to school, especially if you have lots of children’s clothing and school items. Check with your local city hall and home owners association if applicable. 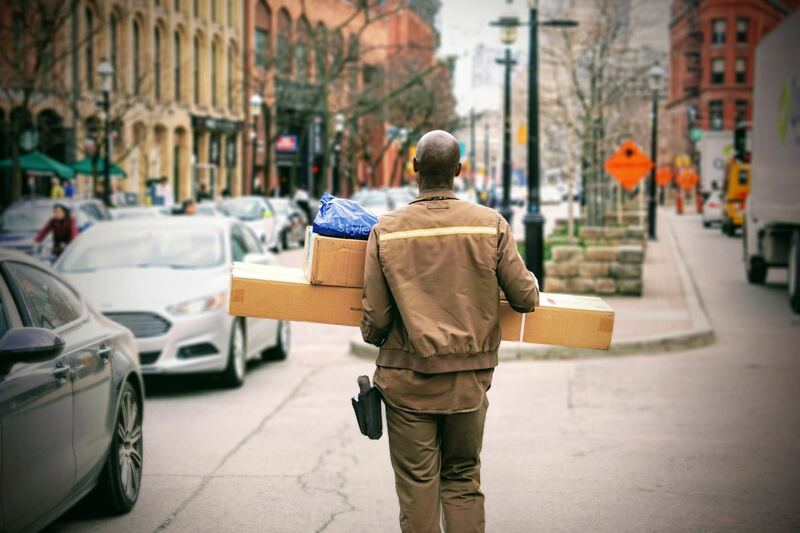 Some cities have no restrictions where others may require a permit, have a limit on how many sales you can have per year, what time the sale can begin, where you can post signs, if you can have a sale on a Sunday, etc. My personal belief is that properly advertising your sale is critical to your success. If you can afford to advertise in your local paper, it’s a great idea. Many people who fill their entire day going to garage sales use the ads from the paper to route the stops they plan on making. Also consider advertising on the internet. I’ve advertised my sales on backpages.com for FREE available in the United States as well as other areas. But even if you don’t advertise in a newspaper or on the internet, making great signs and placing them in appropriate locations is key. Signs should be as large as permitted, on bright, sturdy poster board and easily readable. Use the same color so that the signs are easily followed. Use arrows on your signs to lead the perspective buyer directly to you. Place your signs where they will be seen by the most traffic. Add balloons to make them more noticeable. I’ve even drive by my signs to make sure they are properly placed. Have plenty of coins and small bills on hand to make change. You can use an apron with pockets to carry this change. You can also use a cigar box or something like it but keep an eye on it at all times. Guard your money. It is best to always have more than one person working the sale. Also have a notebook or paper to write down each sale. If more than one person is selling items at your sale, also include their initial from the price sticker to make sure that proper credit is given. Have a calculator available for larger sales. And don’t accept checks. Why risk the possibility of it bouncing. Cash only! Use tables with pretty covers to display most of your items. Place similar items together. For example, put all glass items in the same area, all books together, holiday items, etc. For large items, it is ok to display them on the clean, dry ground. Utilize the space under the tables too. Clothes that are hung on a rack are much more likely to have people look through them. If you don’t have a way to hang clothes, separate them into boxes according to baby/kids/adults, male/female, spring/summer, size, etc. A great way to display kids or baby clothes is to put them in a playpen or something like it. If your sale is so large that you must use the ground/grass, place a tarp down first. Items like toys, shoes and tools can be placed on a tarp. Make sure that you are set up early. Even though you may advertise that your sale begins at 8 a.m., it is inevitable that you will see early birds. If you are ready, you can allow these potential buyers to browse early. Free Box: At any garage sale that I have ever held, I always have a FREE box or two. These boxes are filled with items that I do not want, that are not valuable, but may be useful to someone else. It is very true that one person’s trash is another person’s treasure. People that take something from the free box are likely to then purchase something else from your sale. Power: Have an electrical outlet or extension cord available for shoppers who may want to know if an item truly works. Have batteries available if needed too. 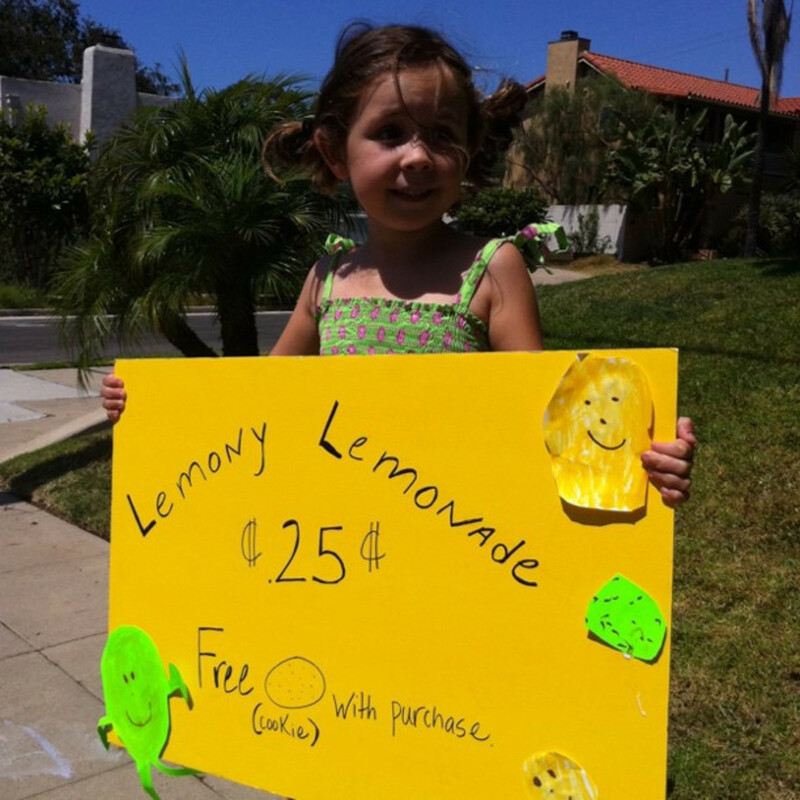 Lemonade Stand: Will your kids be home during your sale? Let the kids set up a lemonade or Cool Aid stand. It will keep them busy and they can make some money too. Sell Food and Drinks: Selling food and drinks can help increase your profits. But sell the kind of things that you like so you can munch too and won’t mind any leftovers. Sell canned sodas and bottled water displayed in a cooler of ice. Maybe offer free coffee? Sell hot dogs and condiments or pizza. Sell your favorite cookies. Whatever you choose, purchase these items wisely to make sure that you make a profit. People that go to many garage sales in one day do not want to take the time to stop for food. They are likely to grab a drink and something to munch on at your sale. Music: Play quiet music to relax your customers and deter from any silence that could be awkward. Luring Customers In: Place large, interesting items at the end of your driveway to attract customers. Make sure you include items that may be of interest to men. If a couple is driving by and the female wants to stop at the sale and the male (more often than not) does not want to stop, he may be lured if he sees items that interest him. If your sale does not look interesting and worth the stop, potential shoppers will simply drive by. Pricing in Bulk: Consider pricing in bulk for items that you have a lot of. For example, 3 books for $1 or 4 shirts for $10. Put several small items together in a zip-loc bag and price the entire bag. You get the idea. The Stuff You Really Don’t Want To Sell: Make sure that things you really do not want to sell are put away or off to the side. Hang signs that say “not for sale.” Rope off a section or hang a sheet. When many people are involved, this is critical to make sure that for example, your lawn mower is still there when you go to use it the next time. 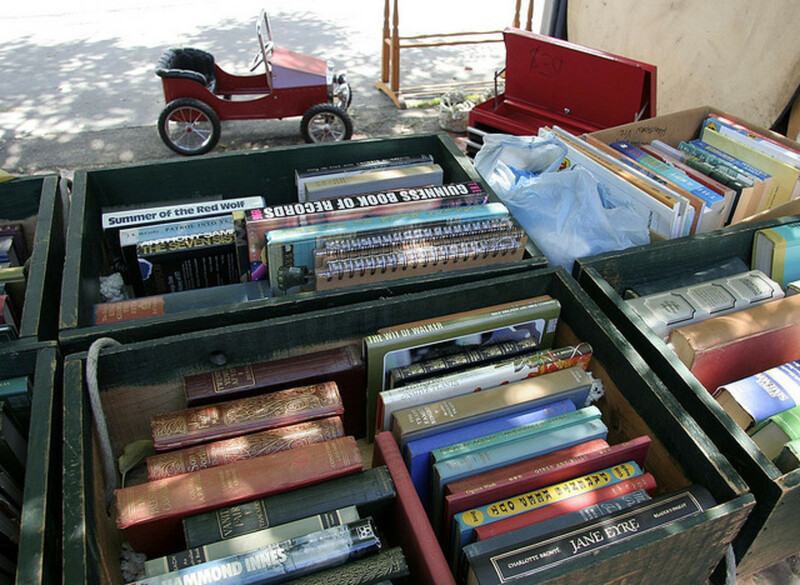 Expect the Unexpected: Just like everywhere in the world, shoplifters go to garage sales too. Keep valuable items such as coins and jewelry nearby where you can keep an eye on them. Although this is rare, it can happen. Also, some people may ask to use your bathroom. Be prepared to direct them to the nearest public restroom. ½ Price Sale Day: If your sale is for more than one day, try advertising a ½ price sale on the last day. Or add signs that say “Last Day! 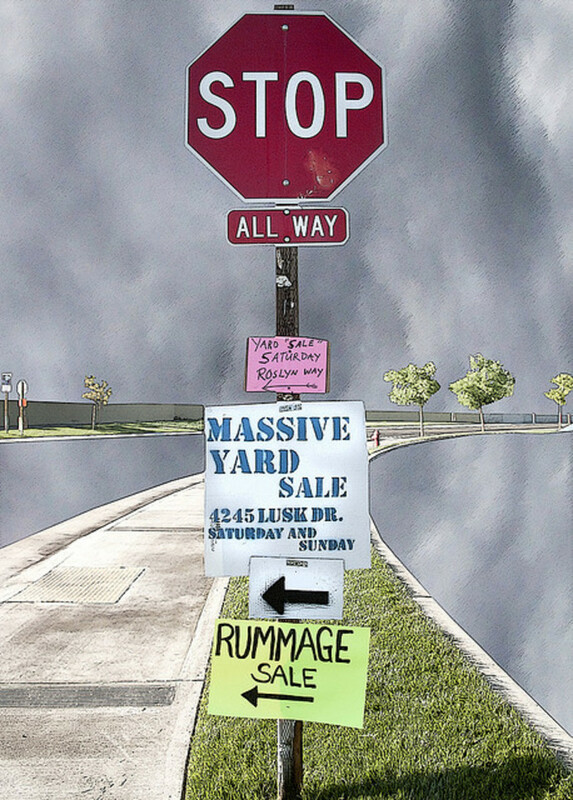 Everything Must Go!” Many people love to only shop garage sales on the last day assuming they will get the best bargain. Get Rid of It: Over and over again, I have experienced the buyer who wants to make a deal that seems unreasonable to me. It’s important to be ready to bargain with them. In the end, I have found that I usually let them win because my main intent is to “get rid of it” even if I believe its value is higher than the buyer is offering. All Sales Final: Post a clearly visible sign that says “All Sales Final." This will avoid any hassles later on. So, you’ve had a successful sale. You are exhausted because garage sales are a lot of work. But please go and take down your signs. It’s the courteous thing to do. Now you still have items that did not sell of course. 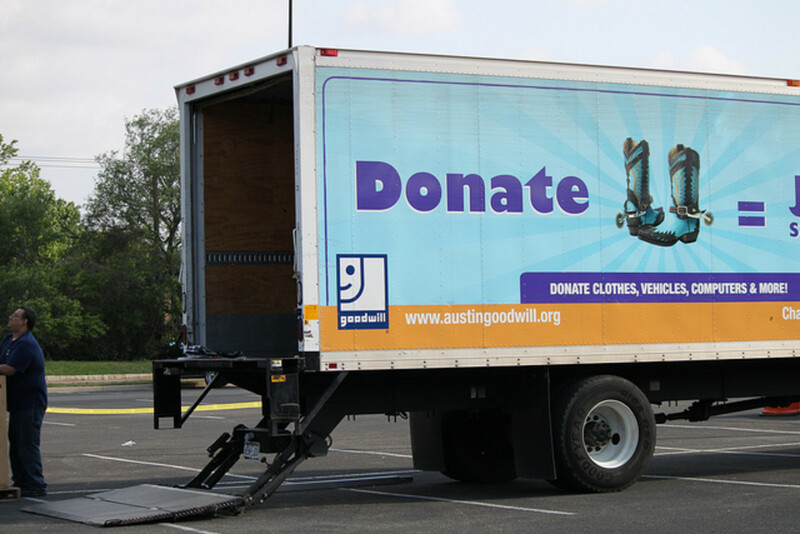 Consider donating your leftover items. Organizations like Good Will, Purple Hearts and the Salvation Army will gladly pick up these items. Ask for a receipt if you’d like to use it as a tax write off. On many occasions, I have packed up things like women’s/children’s clothing, blankets and toys and then drove my donation to a women’s shelter nearby. I’ve also taken leftover items like old record albums, walkers and wheel chairs to a nursing home down the street. They very much appreciate these donations. Spring cleaning and having a garage sale are great ways to get rid of your unwanted clutter and make some money too. With proper planning and organization, your hard work can be a lot of fun and highly rewarding. Instead of having clutter in your home, you will have money in your pocket! Best wishes . . . I have found the same problem at times. Depending on what it is, no one wants it. If it is a true vintage item, best to take it directly to a shop for them to assess. But I understand that is not always possible. 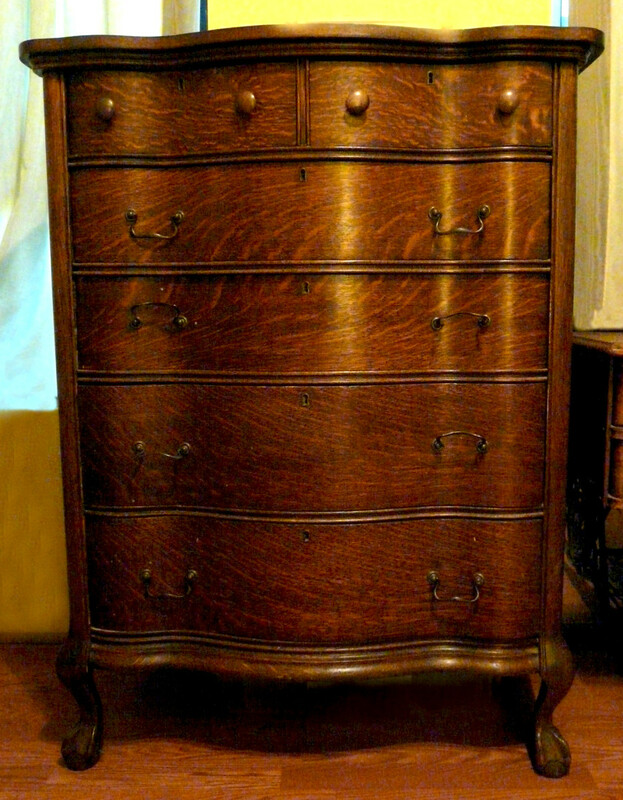 I have some antique furniture and although I did have one person come and look at it, they never followed up with an evaluation. I'd have to hire a moving company to move it anywhere else. I recently had a big rummage sale. I sold a lot but there was a lot left over. I could not get Goodwill or church re sale shops to pick-up. Antique and vintage shops wouldn't even come and look, it was free. There was so much but no one wanted it. I took in as much as I could. Now the rest will be taken to the landfill. It's sad to see such a waste but I can't do heavy hauling myself and had no one else to do it. I was moving so the house had to be cleared out. Good luck with your garage sale. They are a lot of work but fun too! And best wishes with your writing on HubPages. Great article. I have never had a garage sale but with all your great information I think I might try it. Thanks for following me. I am new here and you are my first. Hi Lucille~I'm sorry but I don't understand your comment. But I do appreciate you stopping by! Some point you may have to decide what is a garage organization idea and what may require off site storage. Hi Thelma~ so glad you enjoyed it. I'm pretty sure my family is having yet another sale this year. Thanks for stopping by! What a wonderful tips and ideas you have here. Thanks for sharing your knowledge on garage sales. Hi Joy ~ you are welcome. Thanks for the compliments. Great well written article with very useful and helpful tips and advice. Hi sgiguere ~ it's nice to meet you. Thank you so much for your feedback and votes. Hiya Lisa ~ Great to see you!!! 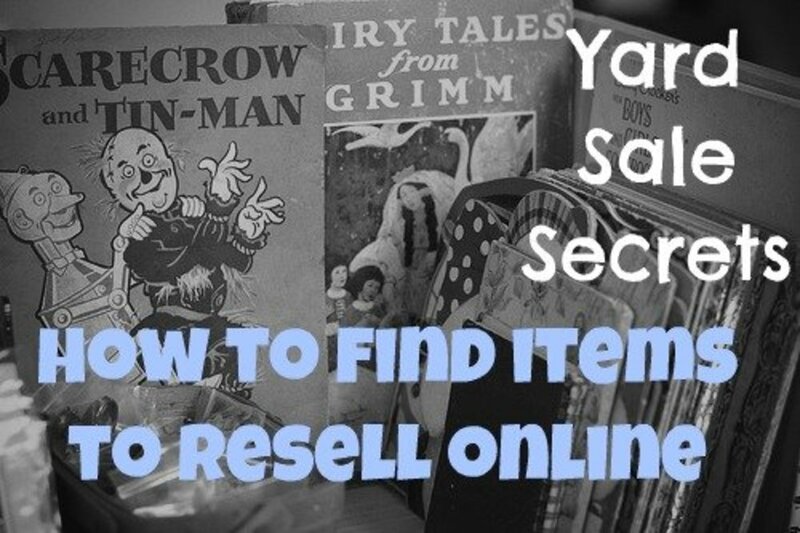 I'm so glad this article is helpful to you for your upcoming yard sale. Best of luck-I'm sure it will be a huge success. Thanks for your feedback and sharing too! 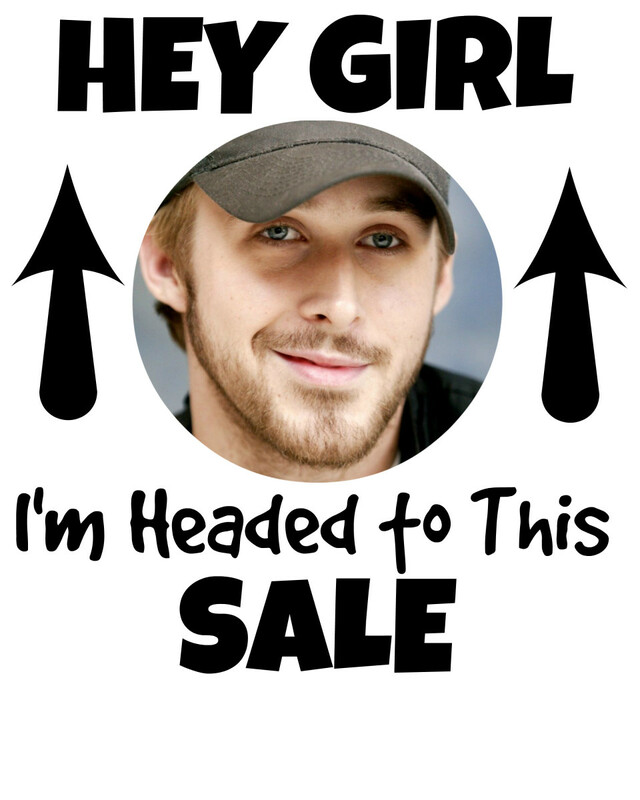 Hi Rebecca ~ I love yard sales too. And yes, I'd rather go to them than hold one myself. But I've done lots of both! Thank you so much for stopping by. Hi Dana ~ I work very long days on Thursday - Sunday and haven't been able to stop at any garage sales yet this season. I think I'm having withdrawal :) I hope these tips are helpful to you as you clear out the house and plan a sale. Thanks so much for your feedback! Great Hub! Very well organized, useful, thoughtful information. Voted up! I just love thus hub Sharon! I had to come back and read it again and make notes for my up and coming yard sale. Your outline and tips are easy,sensible, and helpful. I love ut! Sharing it again. Garage sellers should have this in their files! Thanks for some great tips.... I love stopping at garage sales. I have purchased some great items. It is time to clear out the house I grew up in and I am sure a garage sale will be part of that. I will keep your tips in mind! Hi girishpuri ~ Just so that it's clear, a garage sale is not the "selling of a garage" but the contents that you display within it that you want to get rid of and make some money doing so. I appreciate you stopping by. 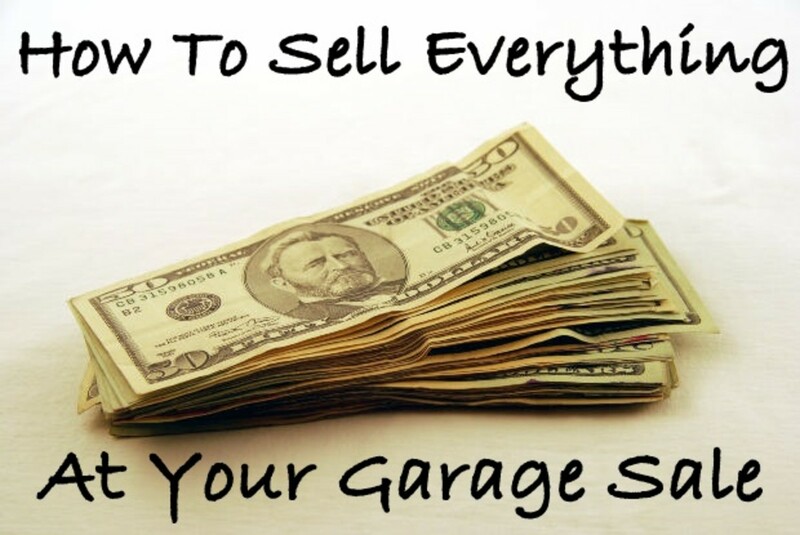 Very helpful tips for many who are planning to sell their garage, Although in India, there is no as such trend for garage selling, but it applies on shops and yards, thanks. Hi abbaelijah ~I'm glad you found this information helpful. Maybe you can start a new trend where you live? Thank you so much for your feedback. Hi idigwebsites ~ it's great to meet you. Darn, I'm not familiar with the Sims music. I'll have to check it out. And yes, the lemonade stand (or selling candy, etc.) really does teach kids entrepreneurship and they can make some good money too. Thanks so much for stopping by. Hi Mary ~ Garage sales are a lot of work. What I've done is take my time to get things ready. Over many months, I'd wash things and price things before they even make it into the garage. Then when I am ready to have the sale, it is a matter of setting everything up. But the cleaning and pricing is done. I agree that if you live in an area that does not get much traffic, doing a flea market is a great idea. Thanks so much for your feedback and votes. 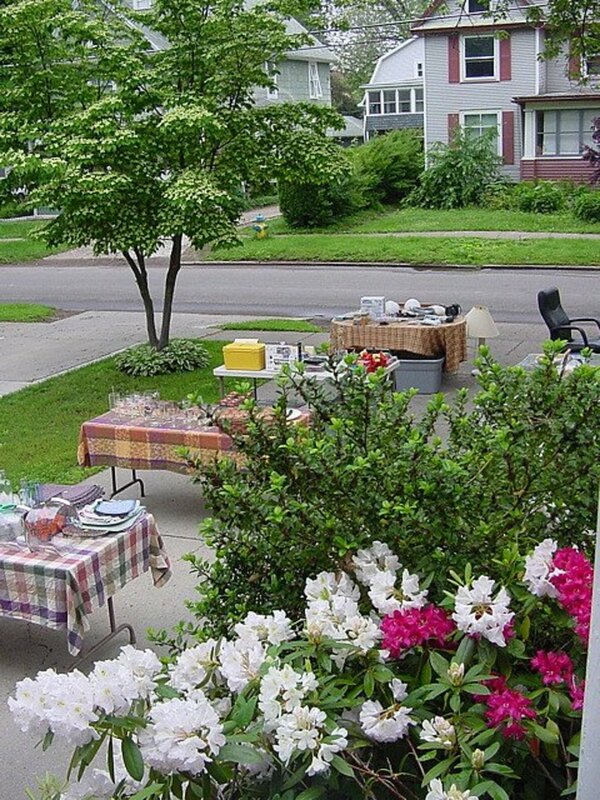 Great and cool ideas for spicing up garage/yard sales. If I were having my own sale the music I would use is the music from the Sims 1. If you've played The Sims you'd probably heard (and loved) the tunes there -- especially the appropriate "buy mode" music. I finally gave up on garage sales...so much work washing everything, pricing everything and then...sometimes it's packed with people who do not buy, other times only a few people but they are buyers. I now go to a church flea market and do much better. Dear privateye2500 ~ I did not approve your comment because 1) we are not supposed to include links to hubs in the comment section as you did. 2) I would think that someone who has been on HP for 4 years would know not to include a link for self promotion only. 3) You say that you linked my hub to yours which you did not. And 4) I would have appreciated a comment about my hub, not simply a ploy to get readers to click on your link. Sorry, but your actions really hit me the wrong way so I am letting you know how I feel. Hey PP ~ great to see you! Oh yeah, the music makes a difference. Thank you so much for your feedback and compliments. Very much appreciated! Hello Sharkye11 ~ it's great to meet you. I agree. Especially if you have a garage sale on a hot weather day, selling beverages can be a great way to make even more money. And if kids are doing the "marketing" - they can make some great tips. Thank you so much for stopping by! SS, I have put on a few garage sales in my time, and I agree with your tips! I love your idea about playing music. I never thought of doing that, but it would help with those "awkward silences." It's really awkward if people come to the sale, but don't like something and then try to get away, ha ha! I love putting on garage sales and like you said, it's so important to have it well-organized and attractive. And no prices is such a turn off at a garage sale. This is such a lovely hub, too, with your original photos and gorgeous layout! So well done! Great tips! Definitely sell beverages. I made more off of sodas and water than the entire yardsale. It gets very hot here, even in the spring, and people were more than willing to buy a drink. They usually bought a small item or two just because they didn't just want to buy a coke. Hi Cyndi ~ I love garage sales too. I am looking forward to hitting some soon since this week, the weather is WAY cooler. Thanks for your feedback and sharing also. Hi Glimmer Twin Fan ~ I'm so glad you found this helpful. Yeah, the free box is always something we've done. It's also great because if someone brings children, they can play in the free box and it's not usually anything that can get broken or if it does, it really doesn't matter. Thanks so much for stopping by. What a helpful hub! I could have used this 2 months ago. Love the free box idea and others as well. Thanks for the tips! Hey Lisa ~ GREAT! I am so happy this detailed list is useful to even those, like you, who have experience doing garage sales. Thanks for the compliment and feedback! Hi Cyndi ~ I am so glad you find these tips useful. I got quite detailed and hopefully it will help many not forget all those little things that are important. I have always wanted to live in Timbuktu, ha. 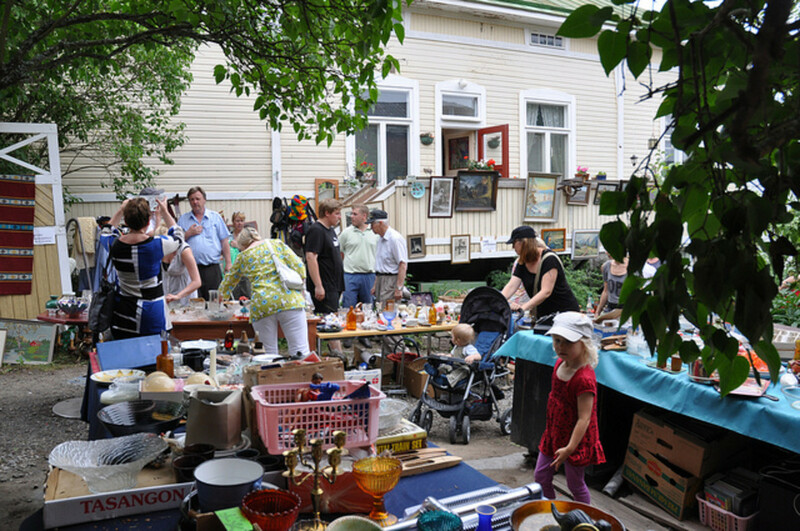 Seriously, yes, a flea market is a great idea for those who do not have a flow of traffic near their residence. Good luck and thanks for the birthday wishes! I have two Huge garage sales coming up in May and although I am no stranger to garage selling.. this Hub was very very helpful with ideas. Definitely printing this out and reading it and get myself more ready than I thought I was! Thanks Sharyn! Awesome and voted UUUUUP! Wow! These are amazing tips! I was just talking with a friend today about doing a sale at the flea market (because I live in Timbuktu and no one will come to my house waaaay out in the mountains). But, the advice here is sound for that, too. Thanks for sharing this. Oh and HAPPY BIRTHDAY!! Hi MsLizzy ~ Thanks for stopping back. I understand what you are saying. Garage sales can be a lot of work. You put the time in to it and you would like to see some sort of return. That's why I always have a "free" box. If someone is hassling me with a price so unreasonably low, I can point the free box and tell them to take whatever they want. I have never had the problem of people not showing up for my sales. I believe it certainly has to do with the area where you live and also the advertising. In your case, it sounds like you could do much better at a flea market when lots of people attend. Thanks for your feedback. Hi Pooh ~ Thank you for your great feedback. Don't ya just hate when people don't take their garage sale signs down. That is a big pet peeve of mine. I am so glad you found all these tips useful. Hope you are doing well and enjoy your weekend. There's the rub...I'd be SELLING it because of a need to RAISE CASH. If I wanted to GIVE it away, or was willing to sell it for a 'nearly free' low price, I'd have called a charity pickup service and just made a donation. At the flea market--I've had to remind buyers that "..this is a flea MARKET, not a FREE market, or 'flea giveaway.' "
But, in the end, it hasn't mattered to me, as I mentioned before, you can't sell anything if no one shows up. Wonderful and helpful article. I especially like the reminders to take down the sale signs and putting a bunch of things in a bag and selling them together. I can see that working very well with craft items, small toys and odds and ends of jewelry. Love all of your tips! Hi Alocsin ~ yup, certainly is coming up on "garage sale" time of the year for those with colder climates that are now warming up. Thanks so much for stopping by and for the votes/share as well. It's coming on that time of year, so thanks for posting some great tips. Voting this Up and Useful and Sharing. How are ya? Thanks so much for sharing these tips. Have a great weekend! Much needed do's and don'ts Sharyn, thanks. Know just the folks down the road to pass these tips on to! It seriously must just be the area that you live. I've had more than three people before the garage is even open. Flea markets are another great option. As far as selling food, I'm sure there are some sort of regulations to be found everywhere. Although, here in Ohio, I see food such as hot dogs, cookies, muffins, etc., sold at yard sales all the time with no problems. Another option for those that live in a small town and/or places that are difficult to get the traffic, is to schedule and advertise a 'TOWN GARAGE SALE DAY' or weekend that would bring in many visitors at the same time. I really appreciate you stopping by to read, comment and vote too :) Thank YOU! We've tried it several times...it just does not work in our area. The most we ever had show up was 3 people all day long. One time, only a single person arrived. Yes, we advertised--by different means each time--none worked. So, we end up taking our unwanted items to the flea market. It's slightly less profitable both because of the competition and the booth fee, but at least there are a lot of buyers present. Oh--and on the food selling? Might be nixed by local city or county board of health regulations. You may get away with sodas and pre-wrapped candy bars, but not food prepared on-site. Here in California, that's a statewide rule. You can only sell food with a permit, and it must have been prepared in an inspected, commercial kitchen. Voted up & useful--because it is for many others. ;-) Cheers. Wow, what a horrible experience. I think no matter where you are, you do have to be careful. Thieves go to garage sales too, I'm sure. I'm sure "something" has been taken from my garage sales (I've had many). I try to be careful. I always have the "money box" with me. Jewelry and little things worth something, I usually have right on the table where I am at. Another idea is to post a picture of something you want to sell that is expensive with a note saying "inquire further if interested" or something like that. It is sad when people have to steal from a yard sale when the stuff is usually so cheap to begin with. Thank you for your feedback Jaye, have a wonderful evening. Oh yeah, would love for you to come to Ohio anytime. BUT, I won't be having a sale anytime soon. Last year, we (my family) had such a large sale at my Dad's house, we had to use the entire garage, long driveway, covered patio, lawn AND the entire basement too. It was truly crazy! I had lost my home the year before and had tons of stuff to get rid of. Plus, after six years, we let go of a lot of stuff that was my Mom's. After the first day, we didn't have to have anyone "work" in the basement and we were able to bring the rest outside. That was a relief but what a job! And yes, we do kind of treat it like a party. It's hard work but FUN! You crack me up. I wish I could go to garage sales all year long :) Poor Faith, just make sure when she goes to play, she takes her earnings with her! Thanks for your feedback. Anyone who is new to these type of sales will find a lot of information here so they don't feel like a "rookie." I LESS THAN THREE you! Thanks for your great feedback. Believe me, you will get hagglers whether you price things or not :) But those that are truly there to buy (and haggle) and move on quickly really appreciate things being priced so they have something to start with. Thanks for stopping by. 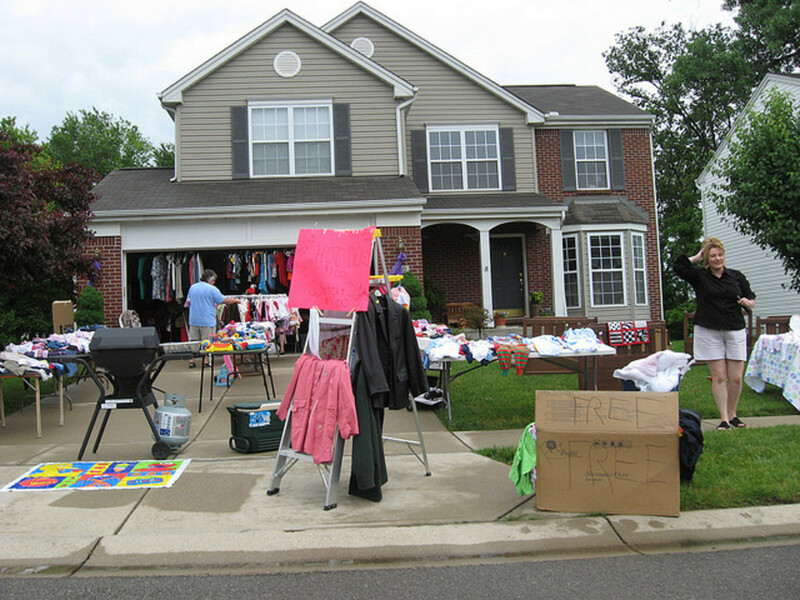 Your hub is very thorough with tips for having a good garage sale and should be helpful to anyone planning to hold a garage/yard sale. However, I vowed never to have another after a "gang" of garage sale SHOPLIFTERS arrived at my last (and I mean final) such sale. Two of them distracted my helpers, another distracted me while the fourth made off with all of the most valuable items she could hide in her handbag and clothing. I'm sure they were making the rounds of garage sales all over town that day. They will never get the opportunity to do that to me again. I'd rather donate things to organizations or individuals who can use them than spend much of two days working for disgusting shoplifters to help themselves! Has this ever happened to anyone else, or is it just a phenomenom of where I live (Jackson, MS)? I wanna come to one of your yard sales Sharyn - sounds more like a party! This is valuable information and well presented! I had one garage sale in my life and I didn't put prices on things. I had some hagglers.. lol. Wonderful hub! Thank you so much WillStarr! I do hope all the details I've included with assist others in a successful sale. Thanks Susan -- I'm glad you find this information useful. The "free box" is a great way to get rid of stuff you really don't want and has no value to you -- instead of throwing it out. I've been amazed at what some people say they are going to use something for. And when people take something from the free box, I've found they are more apt to then purchase something from your sale. Good luck with your next one! Great Hub with very useful advise. I especially like the free box idea. Usually I put the stuff that does not sell that I really do not want to hold onto out on the curb after the sale is over and all packed up. But putting a free box while the sale is in progress is something I will do next garage sale I have. Thanks! Hi pinkydoo, thanks for your comments. You are right, some people don't give the time and energy needed for a successful sale. I hope my ideas help. This is an excellent hub - lots of useful info! A lot of people think they can just toss everything in a box, and it will sell! However, when I go to a garage sale and don't see a price clearly marked on an item...I usually put it back down! Having a successful garage sale IS more work - but it's worth it when you make more money!!!! Sure! Thank you - it is motivating advice - I really do need to get some clutter out! I do hope this guide helps others. If you've never done a sale before, there really are a lot of things to consider. Good luck -- Thanks Kelly! Great one Sharyn! I keep telling myself I need to do this......but too lazy - now that I have your handy dandy guide - maybe I will when it warms up! Very informative article. Really great ideas for anyone planning a sale. You truly hit on all the important stuff. Can't wait till Spring is here. Not for spring cleaning but for all the sales:) I love garage sales!